The German government has agreed new measures which will see suspected terrorists having to wear electronic ankle bracelets before even being convicted so authorities can monitor their movements. Following Wednesday’s vote by cabinet, the Federal Criminal Police Office (BKA) are now one step closer to being able to force “Gefährders,” – those deemed a security risk to the public – to wear a device which will track their location with no conviction necessary. 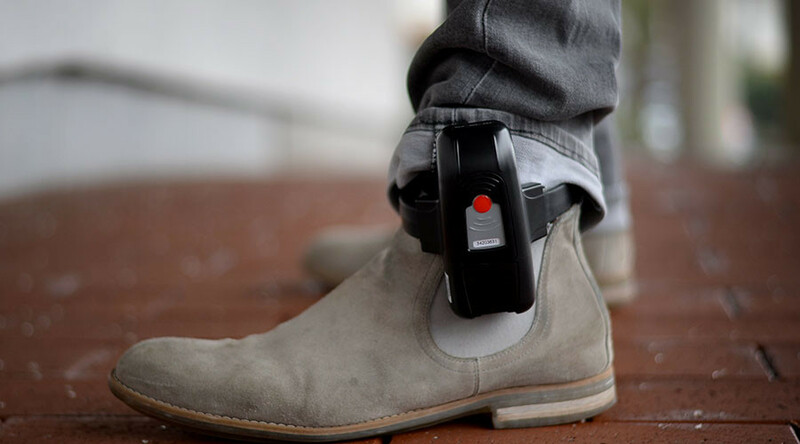 "Ankle bracelets are not a panacea but they are an important instrument to facilitate the surveillance of dangerous people," said Interior Minister Thomas de Maiziere. The proposal will now have to be approved by the parliament, and forms part of a wider suite of powers being introduced following the attack on a Berlin Christmas market on December 19 which left 12 people dead. In the aftermath of the attack, it emerged that the main suspect, Anis Amri, had previously been under investigation by German authorities on suspicion of planning a terrorist plot. After moving from the state of North Rhine-Westphalia to Berlin, however, he fell off the radar due to a lack of communication between different agencies. It’s unclear at this stage how many suspects could be tagged under the new laws, although it’s understood that German authorities believe that around 550 people pose a potential terrorism risk to the country. "I definitely think that it would be appropriate that they are monitored, that the authorities know what they are doing, whom they are meeting,” he said.